If you’re searching for a career that’s relevant among just about every type of industry, sector or organization, then ethics and compliance should make your short list. Not only is the growing field relevant in many areas of work, but it draws on the expertise of professionals with differing professional backgrounds, from law to athletics. When: Monday, Feb. 26, 1 p.m.
It’s a new and growing field involving higher legal standards among organizations and going beyond the traditional values of productivity and ingenuity to define success as doing the right thing. Ethics and compliance are an important element in the higher education world and at CU Boulder. 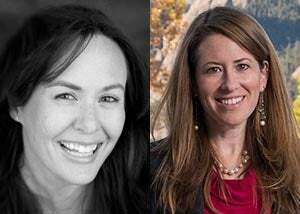 CU Boulder Today sat down with professors Amy Bauer and Melanie Kay, co-directors of the Master of Studies in Law—Ethics and Compliance one-year degree program on campus, to learn more. Bauer and Kay will present on the topic from noon to 1 p.m. Monday, Feb. 26, at the Student Recreation Center. The free event, open to students, faculty and staff, is part of a monthly education series all about ethics and compliance matters. What is the ethics and compliance field all about? Kay: The ethics and compliance field is relatively new. Public, private and nonprofit organizations are subject to an increasing number of legal requirements and therefore need trained professionals to ensure compliance with all applicable laws. Ethics and compliance professionals develop, improve and manage compliance programs to help organizations obey the law, reduce the risk of fraud and other law-breaking and misconduct, and mitigate their companies’ legal liability and reputation risk. They also foster a culture of ethics and responsibility within an organization. How do ethics and compliance improve the experiences of people working at and interacting with organizations that are focused on these areas? Bauer: Ethics and compliance—though different—are both critically important to giving people confidence in a company’s ability and dedication to meeting its legal obligations and staying true to its values. What are some surprising or unique jobs in the field? Kay: One of the wonderful aspects of the ethics and compliance field is the enormous range of opportunities. Ethics and compliance professionals work in health care, financial services, higher education, human resources, environmental compliance, sports, privacy and cybersecurity, international business, the defense industry, technology, government contracting … the sky’s the limit! What kinds of degrees and experience do folks entering the field typically have? Bauer: Because the field is so new, there really isn’t a typical background. At the executive level of organizations, the “c-suite level,” the role of chief compliance officer, or its equivalent, has most often been filled by someone with a law degree and often by an individual who is already general counsel. Increasingly, however, it is becoming clear that not only is it not a good idea to place a general counsel in a role that could present a conflict of interest but also that a law degree is not necessary to manage or build a compliance program. At other levels—and the compliance professionals at CU Boulder are a great example of this—there doesn’t seem to be a common background. Compliance roles at CU Boulder are occupied by individuals who have backgrounds in human resources, law enforcement, athletics and organizational psychology, just to name a few. The master of studies in law in ethics and compliance at Colorado Law was created in response to the demand for more professionals who can join an organization with the knowledge and skills to hit the ground running—whether in creating, growing or improving an ethics and compliance program. We feel so lucky to have so many compliance professionals, from this campus and elsewhere, who have allowed us to learn from their diverse backgrounds and experience as we strive to build a program responsive to the high demand. Do we do a good job of ethics and compliance at CU Boulder? What sorts of ethics and compliance practices, services and activities go on here? Kay: CU Boulder has a really impressive ethics and compliance team. Higher education institutions face a dizzying array of regulatory requirements, requiring robust compliance programs in a huge variety of disciplines. CU Boulder has compliance professionals in areas such as research integrity, athletics, law enforcement, health services, investigations and Title IX, audit, disability services, environmental health and safety, and financial aid. The administration has also prioritized fostering an ethical culture at CU Boulder, ensuring our community strives to not only do what is required, but also what is right. A great way to learn about CU’s ethics and compliance programs is to attend the monthly education series. How do ethics and compliance relate to CU Boulder’s three imperatives of positively impacting humanity, shaping tomorrow’s leaders and being a top university for innovation? Bauer: With regard to the first two, ethics and compliance, in the business context, are about holding entities and their leaders to a higher standard. They require businesses to do more than turn a profit to be successful. Employees and consumers alike are demanding this from companies and, fortunately, companies are responding. Current leaders are getting on board with this new definition of success, and our current students are part of the first generation of graduates who will join a workforce where doing the right thing is as critical to succeeding as other traditionally valued employee characteristics like productivity and ingenuity. CU Boulder, as a top university for innovation, is responding to this shift by increasing the number of classes, programming and extracurricular activities that encourage students to learn more about the importance of these fields. What about the field is rewarding to you? Kay: As we’ve developed and built our MSL program, we’ve been so impressed with the dedication, enthusiasm and initiative of people working in the compliance field. We have been able to attend industry conferences where we’ve met compliance professionals who are incredibly passionate about their work and are doing such inspiring and innovative things. They have been so generous with their time and expertise to help us build the best program possible for our students.